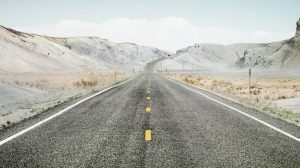 The road is calling. 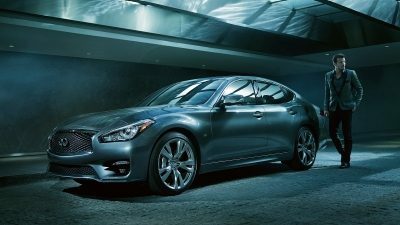 With our driver-enhancing technologies, you can experience it to the fullest. Since 1989, we’ve released a series of world-first technologies that effortlessly extend your capabilities. 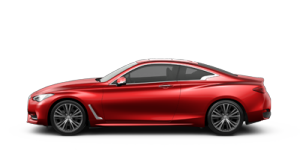 Innovations that put you at the center of your journey – empowering you to go beyond. Carve every turn with unparalleled precision. 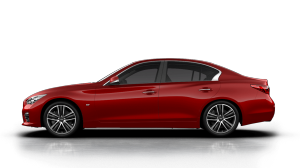 Direct Adaptive Steering® makes a thousand adjustments a second to deliver razor-sharp handling. 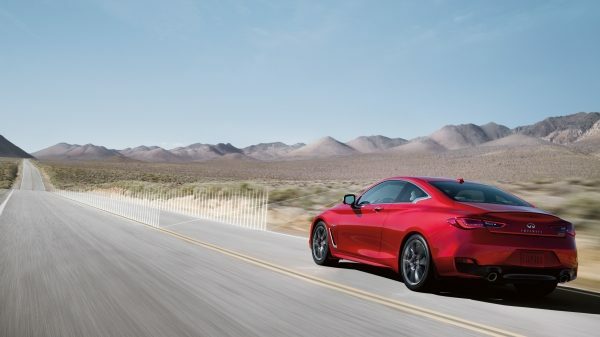 This world-first technology filters unwanted vibrations, so your drive is as smooth as it is exhilarating. 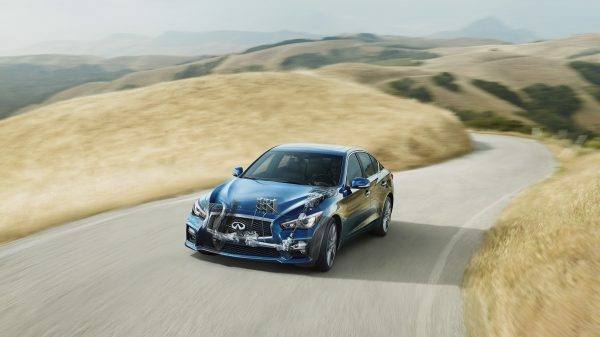 Temper the unexpected with Active Lane Control. This advanced technology reads the road ahead, tracking lane markers, changes in surface texture and crosswinds. Responding to these variables, it makes fine adjustments to your steering, so your drive is uncompromisingly steady. Elevate your parking expertise. With four cameras and a virtual 360° perspective, the Around View® Monitor informs your maneuvers, in even the tightest spaces. For heightened awareness, moving object detection is there to alert you the moment something enters your vehicle’s vicinity. 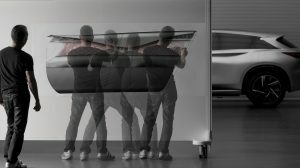 Extend your awareness beyond the rearview mirror. 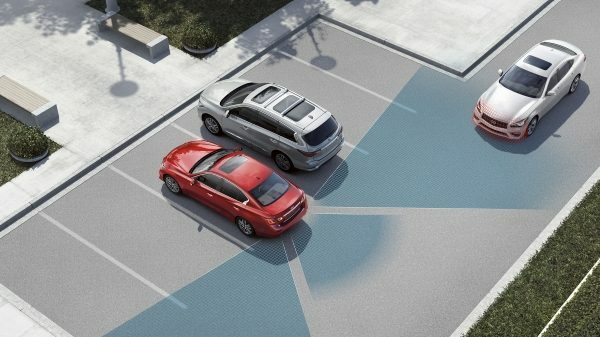 Backup Collision Intervention monitors the area behind you as you reverse. 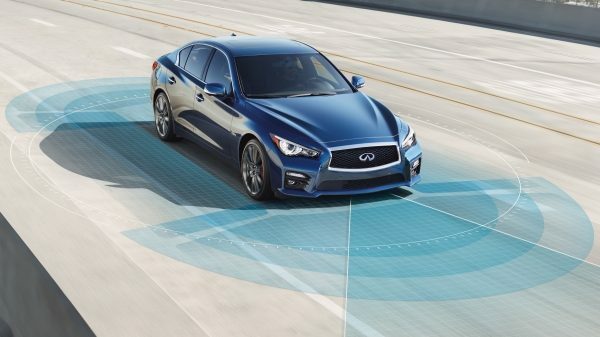 If danger is detected, the system warns you, automatically engaging the brakes to help you stay clear. 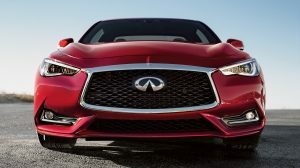 An INFINITI can see further and respond accordingly. 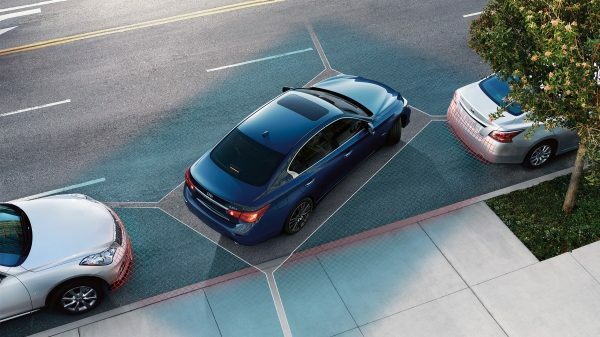 Predictive Forward Collision Warning monitors the two vehicles ahead, alerting you to potential risks. 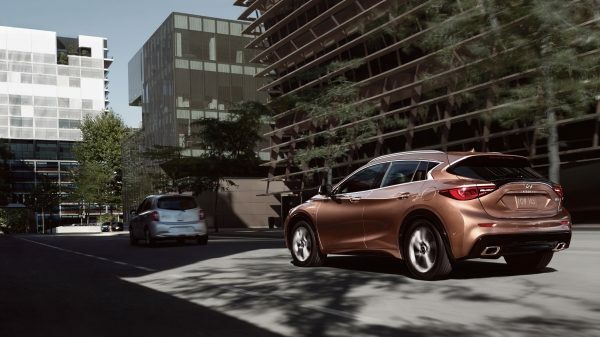 If traffic slows unexpectedly, forward emergency braking steps in to trigger the brakes automatically, allowing you to avoid or mitigate a collision. Maintain your trajectory. Lane Departure Warning alerts you if you move towards the divider line without signalling. 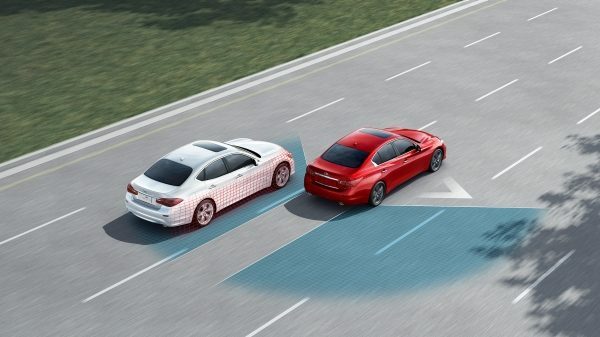 If unintended drift is detected, lane departure prevention intervenes, guiding you back to the centre of your lane without overriding your control. 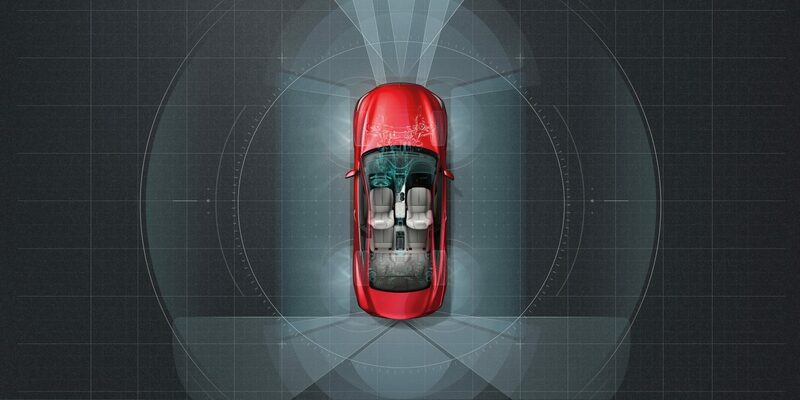 Expand your periphery with sensors that detect when someone enters your blind spot. If you move to change lanes, your steering will adjust, guiding you back into position. 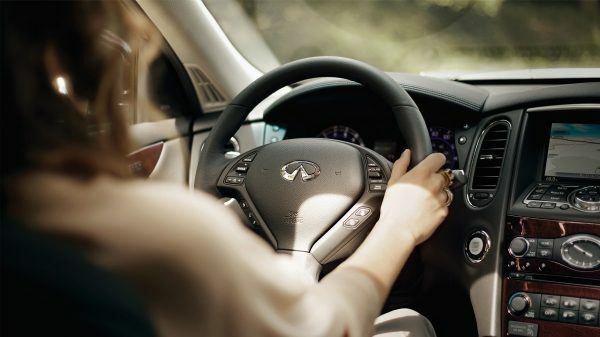 Enjoy continuous connectivity while you drive. 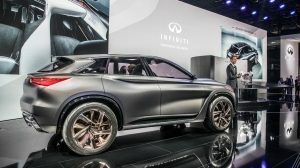 INFINITI InTouch™ brings navigation, convenience, security and entertainment together in one comprehensive dash-mounted package with voice control. Get recognized by your vehicle when you approach. Starting with keyless entry, Intelligent Key automatically customizes your cockpit for a personalized, comfortable ride – no matter who was last to drive. 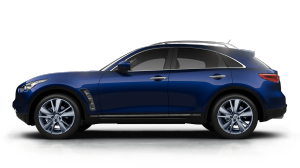 To maintain a comfortable, consistent temperature, the Adaptive Climate Control System automatically adjusts according to ambient air temperature and your speed. Envelop yourself in crystal clear, concert-quality sound. 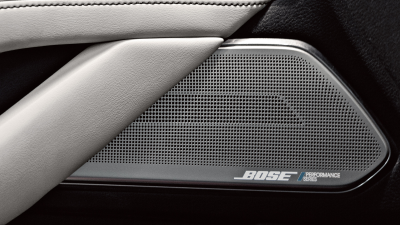 The new Bose Performance Series with Advanced Staging Technology utilizes 16 high-performance speakers to create an all-encompassing, deeply immersive audio experience for the soundtrack of your ride.